On Jan. 28, 2019, the Woodburn Bulldogs boys junior varsity basketball team defeated the MacLaren Wolves 54-32. The Bulldogs held the Wolves to just two points in the opening quarter and quickly established a double-digit lead that they maintained for the rest of the game. It was a relatively routine win for the Woodburn, but for MacLaren it represented so much more. For the first time in more than 30 years, the MacLaren Youth Correctional facility is playing high school basketball against opposing teams beyond the fences of its Woodburn campus. 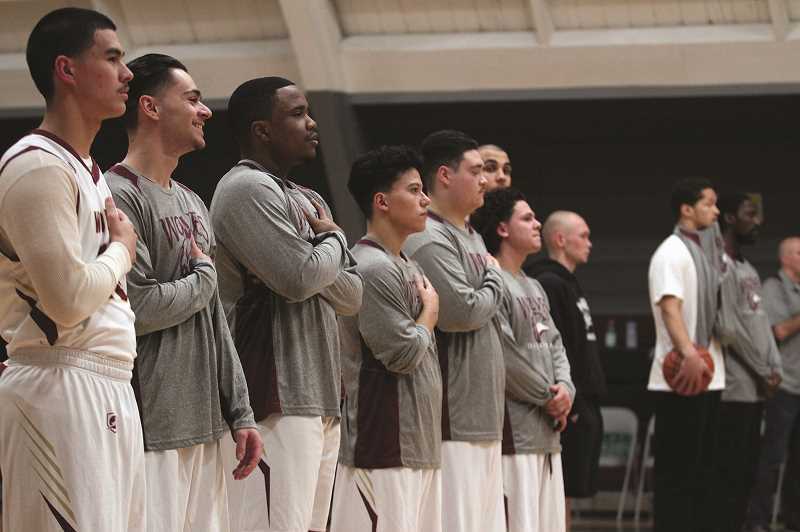 The loss against Woodburn concluded its five-game 2018-19 season — the first in MacLaren uniforms since 1984. "This is our first year doing an organized youth high school team playing teams in the community, but it's been an ongoing tradition to create tournament teams for basketball, football, (and) soccer...where we play against other (youth) facilities," said Roderick Martin, the athletics and recreation coordinator for the Oregon Youth Authority. The health and physical education teacher at MacLaren, Allen is also the head boys basketball coach at South Salem High School. He previously worked at the OYA's Hillcrest facility and helped coach their team, and when Hillcrest merged with MacLaren, Allen followed. When Martin pitched the idea two years ago of restarting a high school basketball program, Allen was a natural choice to lead the program's revival. The idea was to recreate the experience of high school basketball as much as possible for the youths , and that meant following a strict code of conduct. "We are trying to follow OSAA guidelines to the best of our ability," Martin said. "All kids are 14 to 18. They have to be going to high school. Have to be passing their classes. Respectful around campus. Overall being a good member of our community that we have at MacLaren." But Martin had his own rules to follow as well. MacLaren's previous basketball team was a part of the OSAA from 1970 to 1984, but had to shut down when the facility started taking in felony offenders and the team was no longer able to travel off campus. Martin sought out schools who were willing to come to MacLaren, pitching the idea to athletic directors and coaches, and getting parents to sign waivers for their kids to compete at the Woodburn facility. Meanwhile, around a dozen youths tried out for the MacLaren team and were willing to make the commitment. They started a basketball class that guaranteed they'd have access to the gymnasium for practice time, which was sorely needed. While many of them were familiar with picking up a ball and shooting hoops, few had any experience with playing organized team sports or being coached. "That was probably the biggest learning curve," Allen said. 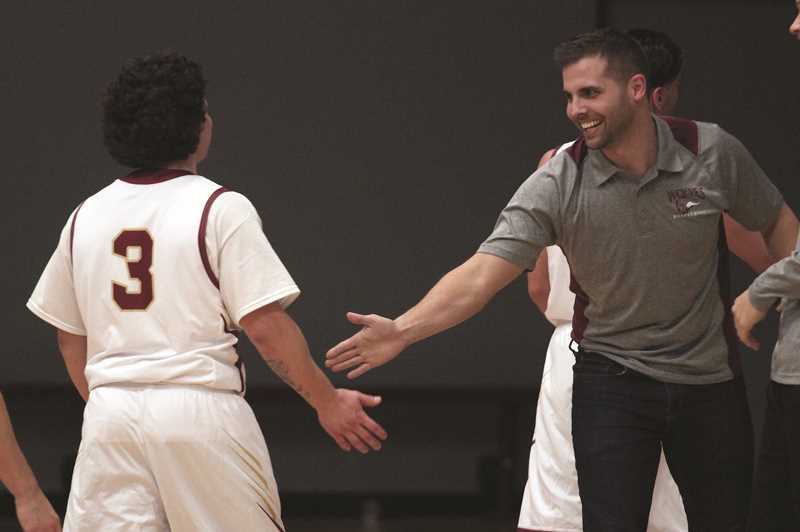 "I go from varsity coach at South using fast lingo and what I assume is normal terminology, and really having to break down every specific component of basketball, from where you line up for a free throw to how you line up for a game." But the players learned. They became familiar with the x's and o's of the game and grew closer together, slowly forming the type of tight-knit family that comes from participating in youth sports. When MacLaren opened the season in December, their first opponent was the Junction City Tigers, led by 46-year coaching veteran Craig Rothenberger who was at the helm of the Tigers when MacLaren last played them in the early '80s. It was a new experience for the MacLaren youths. Playing pick-up ball is an entirely different beast than donning a uniform and playing in a regulation game with referees, coaches and an audience. "A lot of guys hadn't put themselves in that position to be vulnerable in the public eye," Allen said. "They weren't used to that kind of attention." The Wolves thrived. The team shrunk as the season progressed — the natural attrition that any high school program faces each year — but those who stayed committed were able to accomplish something many of them had never done, had never been given the opportunity to do. "A lot of these guys, its become a habit of when challenged, choose a path of maybe not the best decisions, to never put themselves out there enough to fail," Allen said. "My message to these guys that I hope they took home is be proud of the fact that you finished what you started."